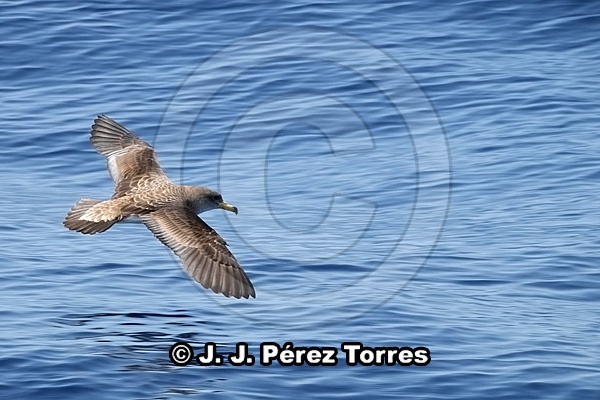 Calonectris borealis, Procellariidae (shearwaters), Cory's shearwater, birds, seabirds, Gran Canaria Island, Canary Islands, Spain, Atlantic Ocean. Remarks: The Cory's shearwater (Calonectris borealis) has been separated from Scopoli's shearwater (Calonectris diomedea). Both species are very similar; Cory's shearwater has dark underwing tips. In Canary Islands Cory's shearwater is the most abundant.